If you have a strong, supportive relationship with your supervisor, you can let him or her know you’re looking for more or different responsibilities, and together you can explore every possible opportunity internally. Most often, it’s in the company’s best interest to try to retain a valuable employee (be honest about your performance when you decide if you are a valuable employee or not). Also, before you go to the supervisor with your desire for a change, ask yourself is there a specific situation that the supervisor could change to make you want to stay? Is there a specific situation that can be addressed? Frankly, unless you have an excellent relationship with your supervisor, you are a valuable employee, AND there is a specific resolution to the “situation” that is causing you to want to leave; I wouldn’t recommend sharing the news. Also, consider that you could end up looking for a new job but not finding one. If you decide not to tell your supervisor that you’re thinking about making a move, be sure not to do anything that could reveal your intentions. Below are a few suggestions that should help you “ethically” look for a new opportunity while not compromising your current position. Let your prospective employers know your job search is confidential. When asked by prospective employers if they may contact your current employer, tell them “No”. Let them know they may contact former employers for references because you’re keeping your job search confidential at this time. Lying could result in your current supervisor learning of your job search through a reference check. Don’t tell anyone at work or on social media that you are looking for a new position. The world is a really small place and if word of your search gets back to your supervisor, you may find your timeline for finding a new position involuntarily accelerated. Schedule interviews during non-work hours. 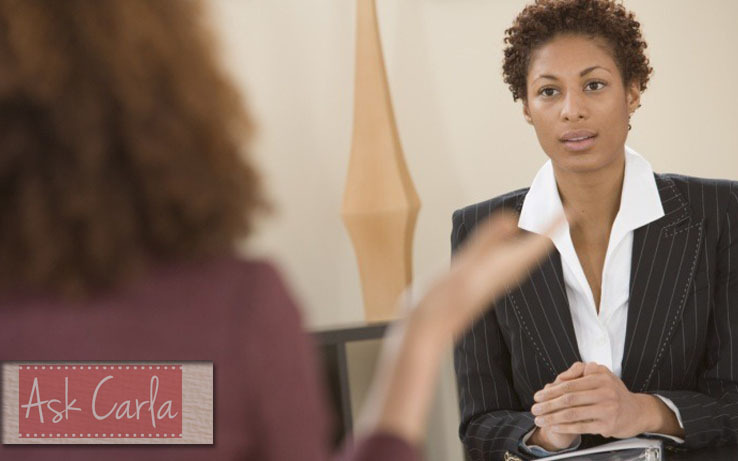 Be honest to prospective employers about your need to interview before or after work hours. If they must interview you mid-day, suggest your lunch hour. If that will not work, take a personal or vacation day. Keep doing your job! Productivity should continue until you make your exit. Don’t search for a new job at work. Even if you have idle time. Even if you hate your supervisor. Even if you finish the big project early. Even if everyone else is in a meeting. Even if your office door is closed. Don’t do it! This is an integrity issue. Don’t make your current employer pay for you to find your next employer! Keep doing your current job until the last day you walk out the door. This speaks volumes about your professionalism and will help build your professional reputation. Don’t use the company computer, internet, fax or phone for your search. That computer at work…it’s not yours. That said, stay off job boards while you are at work. Don’t send job search-related emails from your office email address. Don’t use the company fax machine to send out resumes. Don’t mail thank you notes from the office. It’s a good bet that if your current employer catches you engaging in any of these activities, you may find yourself with a lot more free time to spend on your job search. Don’t dress differently than usual. If you wear a suit because you have a job interview that day but you never wear a suit to work, this will raise suspicions and perhaps cause tongues to begin to wag. Bring your interview clothes with you to work and change in the car or in the restroom when you get to your interview. I know this may seem like overkill, but if you can’t go home to change, better to change in the car than to raise suspicions or put yourself in a situation in which you find yourself lying. If your supervisor asks if you are looking for a job, be honest. One of the worst things you can do is lie. This will damage whatever relationship you may have with that supervisor. This could mean less than gracious references, termination, and an even more uncomfortable work environment. Deciding to tell your boss that you’re job hunting is an incredibly personal and definitely case-by-case decision. Weigh your options carefully, and, no matter what you decide, keep giving your current position 100% until the day you leave. Whether you disclose that you’re leaving or not, how you handle yourself will affect your professional reputation.